Mayor Rahm Emanuel got cooking at Chicago's Millennium Park Saturday when he helped prepare a mole sauce at the 8th annual Chicago Gourmet Festival. 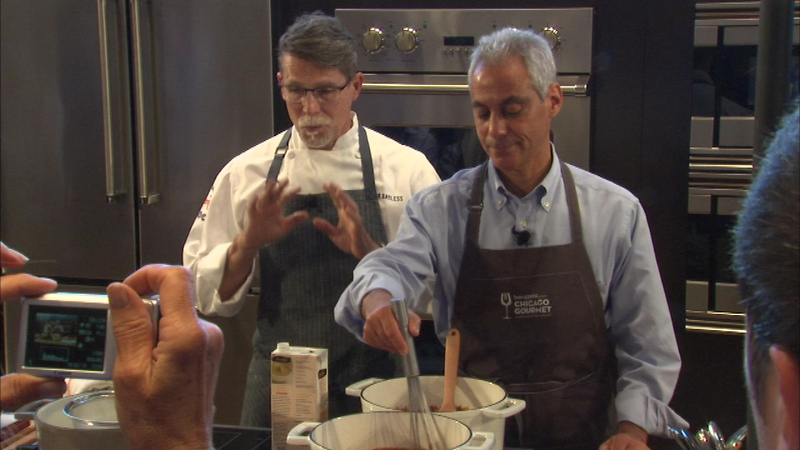 CHICAGO (WLS) -- Mayor Rahm Emanuel got cooking at Chicago's Millennium Park Saturday when he helped prepare a mole sauce at the 8th annual Chicago Gourmet Festival. The mayor congratulated local chefs for putting Chicago's excellent food on the world stage. Our restaurant critic Steve Dolinsky also joined in the fun. The culinary event showcases 150 Chicago restaurants and chefs locally and internationally.